The truth behind the tales people tell about Toronto. When it came to the first big project of his fledgling career, he meant this literally. Rumour has it that he actually built his name into the museum’s roof. At the time, Moriyama’s star was still rising. He had already created buzz with his design for the Japanese Canadian Cultural Centre on Wynford Drive. Prior to the cultural centre, Moriyama’s most recognized public commission had been the Garden Pavilion at Edwards Gardens. 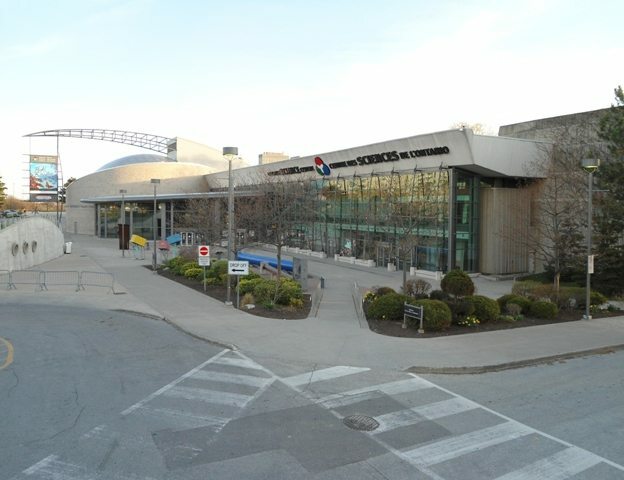 The Centennial Museum of Science and Technology—which we now know as the Ontario Science Centre—would turn out to be a milestone in his career. Soon the architect would be receiving accolades for the designs of many now-iconic structures around the city, the country, and, eventually, the globe. Perched atop the Don Valley, the Science Centre consists of three linked structures. Moriyama’s design envisioned patrons entering a grand temple-like hall, crossing a 70-metre, glass-enclosed bridge connected to a trillium-inspired Tower Building. From there, patrons would descend to the Valley Building on a series of escalators. In September 1969, after a delay of two years, the Science Centre opened to rave reviews. At the same time, word began to spread that Moriyama had surreptitiously imprinted his name on the roof of the Valley Building. At roof level, however, nothing was visible. Had Moriyama included his name in some inconspicuous location? Moriyama had actually incorporated the four Hiragana characters of his surname into the roof surface itself. He accomplished this by using various hues of roofing aggregate. 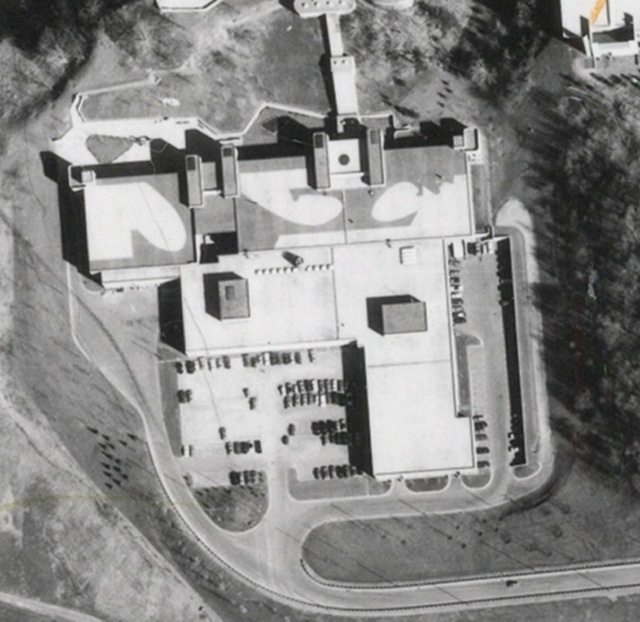 Aerial photograph of Valley Building in 1970 showing Raymond Moriyama’s original roof design. Image courtesy of the City of Toronto Archives. In an email to Torontoist, the self-effacing Moriyama said the goal of the clandestine undertaking was to prove it was possible to break up the monotony of a flat roof without additional spending. The design was reminiscent of Bonseki, the Japanese art of creating miniature landscapes using sand and rocks. The unique creation was also a nod to the ancient Tibetan art of sand painting. Aside from enhancing the visual aspect of an otherwise plain roof, Moriyama told us he also wanted to rouse the curiosity of those who would eventually discover this enigma. Shown a Google Earth image of the rooftop today, the renowned architect was disappointed to discover alterations to his original design have erased all traces of the Hiragana characters. Alterations to other parts of the Valley Building—including the addition of unsightly steel cladding—go a long way toward destroying Moriyama’s overall vision for the squat building. “Some parts of the roof now look bland, even boring,” Moriyama wrote. Aerial photos show the rooftop design lasting until around 1988. After this it fades considerably. Between 1990 and 1991 it vanished completely. Of the numerous buildings Moriyama later designed, the Science Centre rooftop was the only structure on which he accomplished this unique feat. Additional material from the November 26, 1964 edition of the Toronto Star.